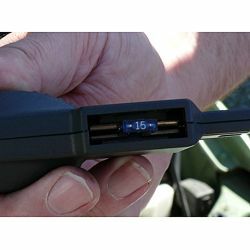 Automotive tester used to check vehicle fuse boxes / Measuring attachments for mini- and blade fuse / hold and peak function. The automotive tester with blade fuses adapter is a measuring instrument to measure automotive electric systems through simple operations. 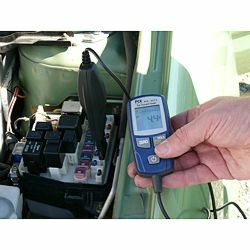 Automotive tester PCE-ACT 8 is a fast and accurate device which detects the electrical loading of several electric systems. It is also possible to verify leakage current, which stresses and depletes the car's battery, via the fuse base in the automotive fuse boxes. The electrical system protection is ensured by twisting the fuse into the blade fuse adapter even while measuring. With the enclosed adapter attachments for mini- and standard blade fuses this automotive tester is compatible with each fuse size. If you have any questions about these products, please contact us: UK customers +44(0) 23 809 870 30 / US customers +1-410-387-7703. 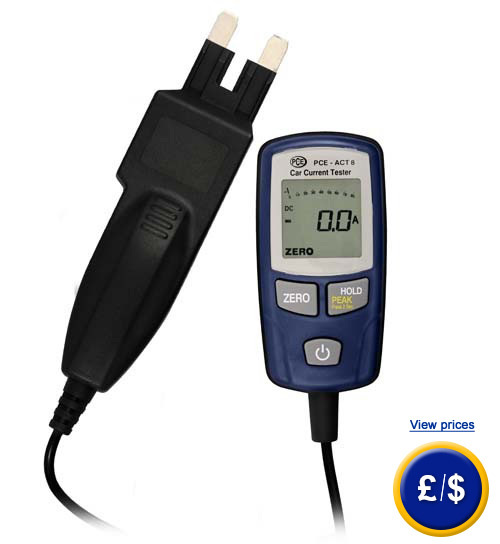 An overview of all automotive testers can be found here: automotive meters. Our technicians and engineers will be happy to help you with this automotive tester and all other products in the field of measuring instruments, regulation and control and scales. Here you can see the automotive tester PCE-ACT 8 with completed blade fuse adapter in an automotive fuse box. Here you can see the blade fuse adapter of the automotive tester PCE-ACT 8 with inserted mini blade fuse.